The Mayor of London is being urged to ensure more chargepoints are installed in London and free or discounted parking is offered to drive EV take-up. 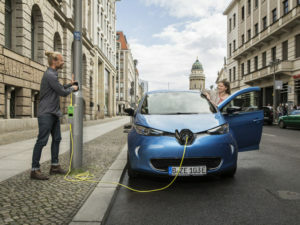 The call comes from the London Assembly Environment Committee in a new report as it highlights that the growth in the number of electric vehicles in the capital is outstripping the number of charge points. The report sets out that 60% of Londoners do not have their own garage or driveway and would therefore need to rely on electric on-street charging – making this the biggest obstacle to EV take-up. It also says that the spread, location and accessibility of electric charging points is more important than the number of charging points, so a strategic pan-London approach is needed. And it calls for Transport for London (TfL) to offer capital funding to install electric charging points where private sector investment is not happening quickly enough. The report also sets out that the Mayor should encourage all London boroughs to make parking for electric vehicles free or discounted in the short-term to drive take-up. And the report also says that the capital should continue to focus on driving down overall car ownership, including EVs, as it points car clubs as a “a golden opportunity” to both reduce individual ownership and get more electric cars on the road, instead of petrol and diesel combustion engine vehicles. It continues that the Mayor should set a target for the percentage of electric cars in London’s car clubs, to ensure car clubs see members sharing the cleanest vehicles. The report was welcomed by the Renewable Energy Association. Daniel Brown, EV lead at the REA, said: “Achieving mass adoption of EVs is eminently achievable but the development of required infrastructure will need coordination between government at all levels, developers, grids, and consumers. To access the London Assembly Environment Committee report, click here.